Stand Up Paddle Board Yoga Class is an awesome way to try something new, be close to nature and decompress and destress from our stressful lives! We SUP every spring summer and fall! Join us for an adventure, a blind date, a first date, a 100th date, a girls outing, a bro’s flow, an “outside your box” bucket list ✔️ or just because you love the water or yoga. You will learn basic SUP skills that includes: safe board and paddle control/handling, standing and balance, different SUP strokes, etc with a focus on finding your own comfort level appropriate for beginners. 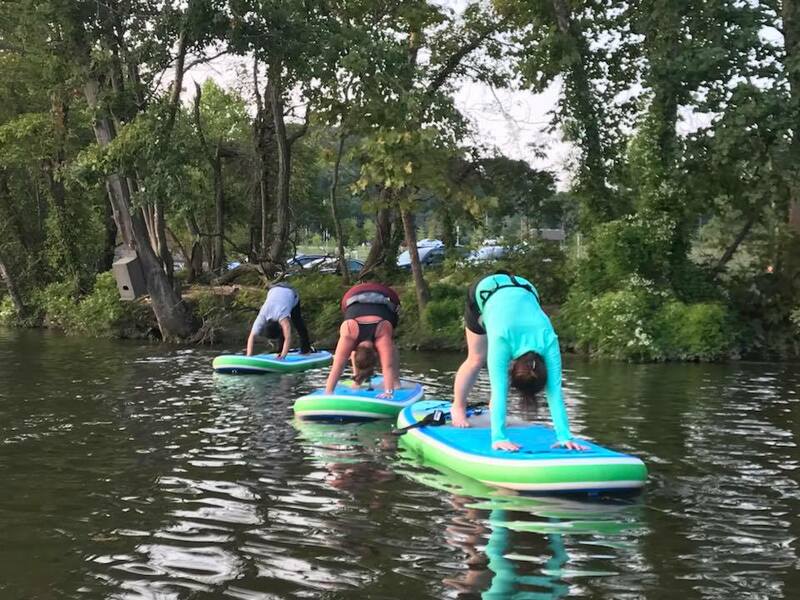 However the main focus of this class is Yoga on the SUP board and enjoying the yogi breath with yoga asana while being outdoors and in nature. The negative ions from the water enhance the calming effect of the yoga breath and asana. 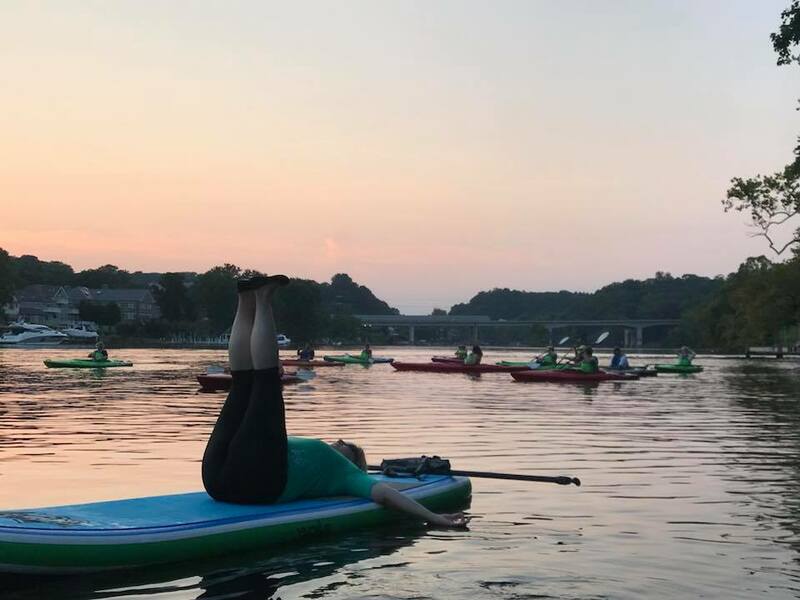 Enjoy the calm, clean water and beautiful scenery while practicing all your favorite poses on a paddle board, especially the delicious savasana! We do a mini yoga pose photoshoot so you get all the photos from the day you want! Buy 4 or more $45 each. Please note, we are subject to cancel and reschedule if there are not 5 participants signed up in advance. July and August dates will be coming. Contact Amanda@mindyourbodyoasis.com for more details and to reserve your spot! The 90 min class includes SUP board and Paddle rental. If you have your own SUP the price to attend is $45.